In today’s ad-saturated world, some of the most successful campaigns don’t look like advertising at all. Mystery marketing, provocative ads that more resemble games or riddles, is one way to grab the target audience’s attention and encourage people to seek more information about a company’s products or services. It doesn’t take Sir Arthur Conan Doyle to create a good mystery marketing campaign. Simplicity is best: potential customers will glimpse the ad and decide whether to play along within seconds. One good example is Bell Canada’s blue package campaign. Toronto residents woke up one morning to a city plastered with images of a shiny blue package. With no ad copy or logo to reference, they were intrigued, striking up Internet conversations and generating free publicity for the advertiser. Sometimes, mystery campaigns use shock value to engage customers. This kind of advertising requires finesse and a willingness to tread on a few lines. A U.S. campaign that garnered national attention was the Lung Cancer Alliance’s “Deserve to Die” series. Posters with stereotypical photographs and brief captions asserting that people from all walks of life (including “crazy old aunts,” “hipsters” and “the smug”) deserve to die appeared without explanation. Predictably, outrage ensued. National media coverage of the campaign was invaluable in driving home the organization’s actual message: no one deserves to die from tobacco-related cancer. Obviously, people need to see a mystery campaign in order for it to be effective. Post ads wherever the law allows, considering tack-boards, restroom stalls and hiking/biking trails in addition to the usual newspapers, bus stops and billboards. Attention spans are regrettably short. A mystery campaign must be readily solvable or promise a timely advertiser-provided solution. There are several ways to go about this. The first is an “all-will-be-revealed”-type promise accompanying the initial mystery image. An ad for a new product might show the item covered with a sheet, telling customers to watch for the sheet’s removal on some future date. It’s a passive, but suspense-building, technique. Another method is to ask customers to collect clues, which demands that the advertiser place these clues strategically, and expects customers to have the patience to find and remember them. 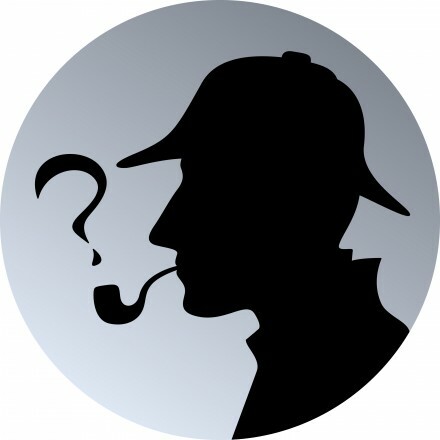 Perhaps the fastest way to engage people in a mystery campaign is to offer instantaneous access to the mystery’s solution. A low-tech option is a lift-a-flap design encouraging the intrigued to peek under a flap on the poster (or study a hidden picture or read small print beneath a riddle, etc.) to find more information. Asking people to call a phone number or visit a web site for the mystery’s solution entices customers to contact the advertiser. A newer, high-tech way to generate web traffic is to provide a Quick Response (QR) code that customers can scan with their smart phones to gain immediate access to a company’s web site without having to write down or remember anything. Some campaigns consist of nothing but a QR code, causing the naturally curious to access a site without even knowing why they are doing so. QR technology also offers advertisers the opportunity to track the locations being scanned, providing valuable marketing data. Whatever the strategy, mystery campaigns are an effective way of engaging customers and enticing them to seek more information. If done well, they just might create that elusive “buzz” that is the Holy Grail of modern advertising. Edward Carlisle recommends using 522 Productions for your video-related marketing needs.